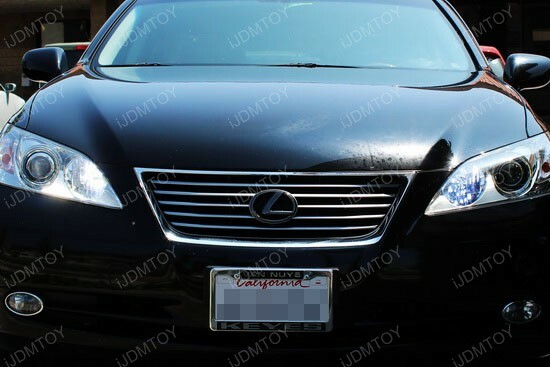 The 2007 and up Lexus ES350 uses 9005 sized bulbs for the daytime running lights and it is quite obvious to see the benefits to upgrade to LED lights. 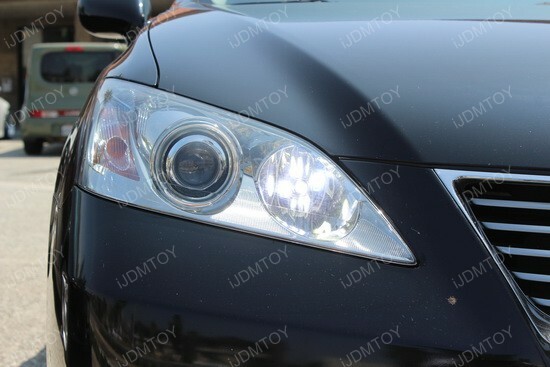 The factory incandescent halogen bulbs provide a dull, yellow color that is nothing special or noticeable. 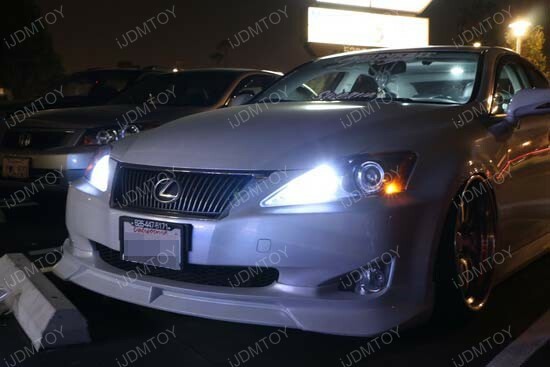 The 9005 LED bulbs that this ES350 has installed turn that around by providing a more crisp and stylish HID-like color that is sure to draw attention driving down the road. 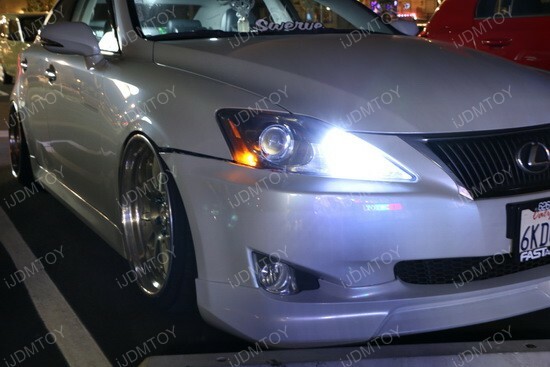 These LED bulbs use ten 5W high power CREE Q5 XP-E LED diodes per bulb and all operate together for a combined output of 10W. 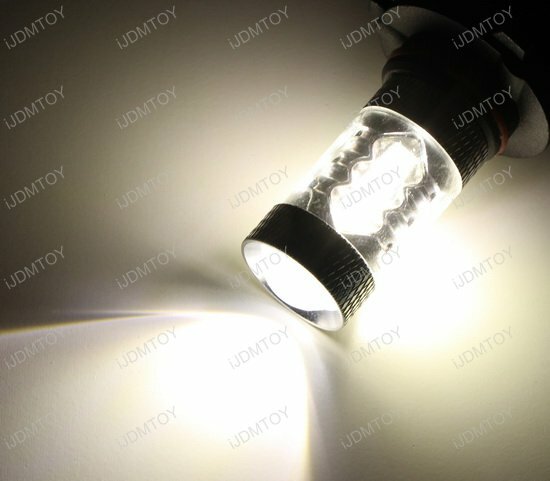 Since there are eight CREE LED diodes on the side, it provides the 360 degree shine to fill up the housing while the two on the top project light outwards thanks to the magnifying optical lens. 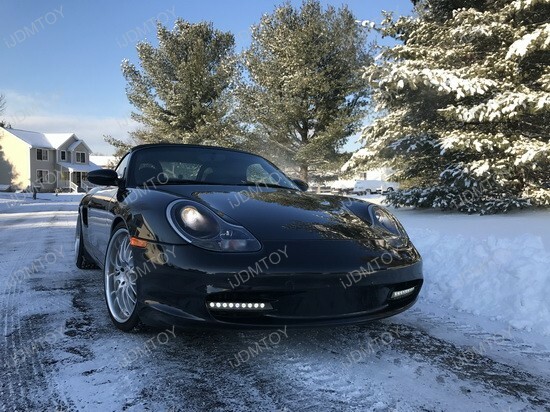 The lights are also rated at 6000K so they are our classic Xenon White color so it would go great with our other Xenon White lights. 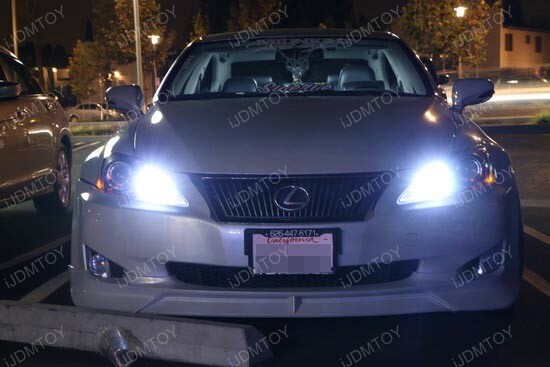 Keep in mind that even though these high output bulbs are very bright, they are not intended to be used for high beam lights at night. 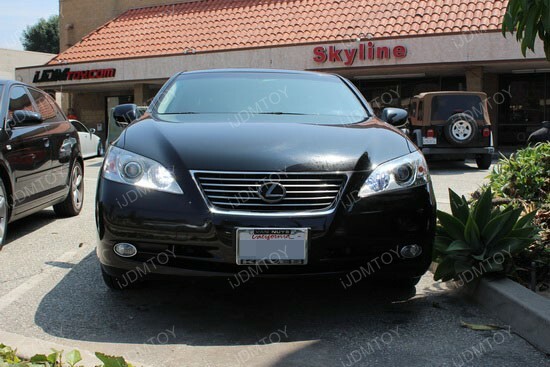 Your high beams will still operate, but they will not provide you the same amount of light output as they once did; these are more for aesthetic purposes only. 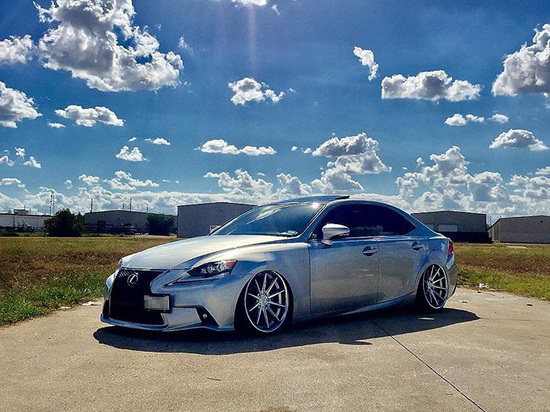 These lights would not work by themselves so they require our Lexus R4 setup which includes a pair of canbus decoders to prevent issues such as flickering and error messages. 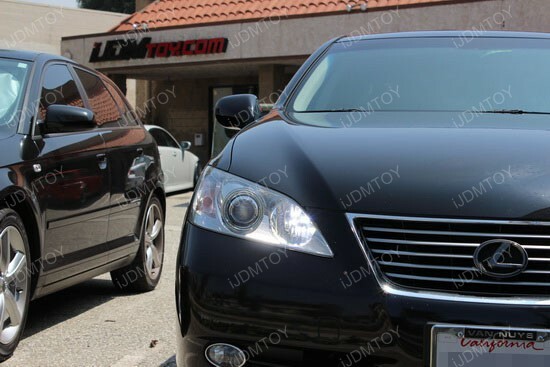 Using the 9005 CREE LED high beam and daytime running light bulbs by themselves may cause issues such as partial light up, flickering, and errors. The setup is completely plug and play so it requires no modification of the wiring and is very easy to install, but make sure you follow the instruction guide that comes with the kit so you install it properly.